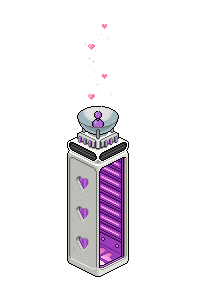 Room Hoppers are furniture items very similar to teleporters. The only difference between the two, is that Room Hoppers aren't bought in sets and will take you to a completely random room. The first three were first released in February 2012 during the Starlight Prom release and the Stable Hopper made an entrance with the Horse Riding furniture. The most recent addition to the Room Hoppers is the "VIP Room Hopper", which was introduced into the Yacht Parties furniture range. Jump in to find new friends! It'll take you somewhere wonderful! Sends you to a random room within the Stable network! Room Hopper. For HCs only. Room hopper. Only Habbos in costume can enter. This page was last edited on 6 June 2018, at 23:58.